Like most of you, I have hair on the top of my head and all I want is a Good Freaking Hair Day™, every single damn day. It’s not too much to ask, really. My hair leans towards the drier side of things and I have the most annoying cow-licky thing – almost a widows peak. My hair is such a needy thing. It demands much attention, styling and effort to look good. Because of this I am constantly using heat in an effort to look at least ⅓ presentable each time I leave the house. I’ve dyed my hair more times than Lady Gaga and as a result it kind of hates me. While I love to have great hair, I have also been quite lazy when it comes to maintaining a care routine, and when it comes to the amount of time I like to dedicate to it, it’s minimal. 6 weeks ago I filled you in on some System Professional hair care products I had just begun to trial (If you missed it tune in here). I am all about authenticity so I really wanted to trial the products before I gave you any insight into whether or not they lived up to the hype. Over the past 6 weeks I have discovered that I really like having a care routine I can use twice a week. I am all about putting in two days of effort and then enjoying the pay-off for 3-4 days. Afterall we all want to limit the time we spend styling our hair and also time we wash it: AMIRITE? The above is simple and something I can achieve. Side-note: Day two and day three hair are my favourites. The volume and texture is incredible. If you ever witness me on day four hair I am sorry you have to see me dressed as an oil rig. Use the right products on your hair: All the products System Professional stylist, Mia DeVries, prescribed for my new bespoke routine were moisture rich products. Like everything else when it comes to beauty, if you don’t use the products that are right for you, then you won’t get the best out of them. This is why having a consultation and figuring out my hair’s personal “EnergyCodeTM” was so helpful. 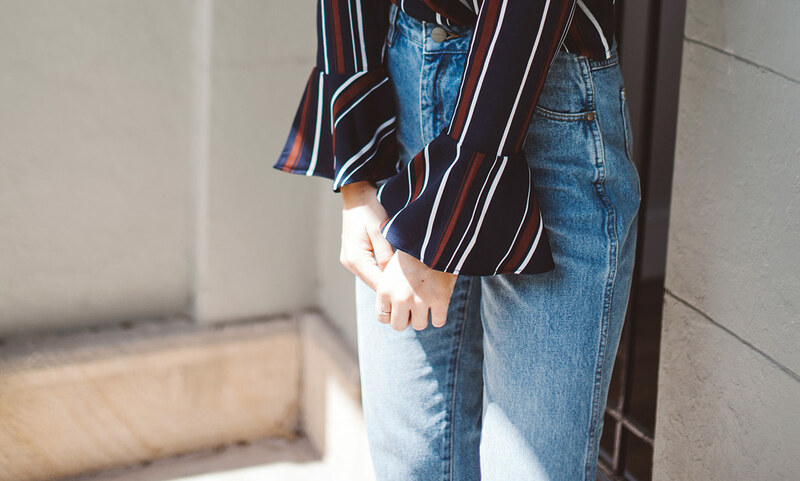 Knowing what type of hair you have is often half of the battle; I used to just try and interpret what the labels on shampoos and conditioners meant at the shops, which can be quite detrimental to your hair. For a good two years I had virgin hair and I was using products geared towards coloured hair, but I found it just weighed my hair down, so it was constant trial and error. In hindsight, it was probably over nourished due to the active ingredients coloured hair would need vs virgin hair. 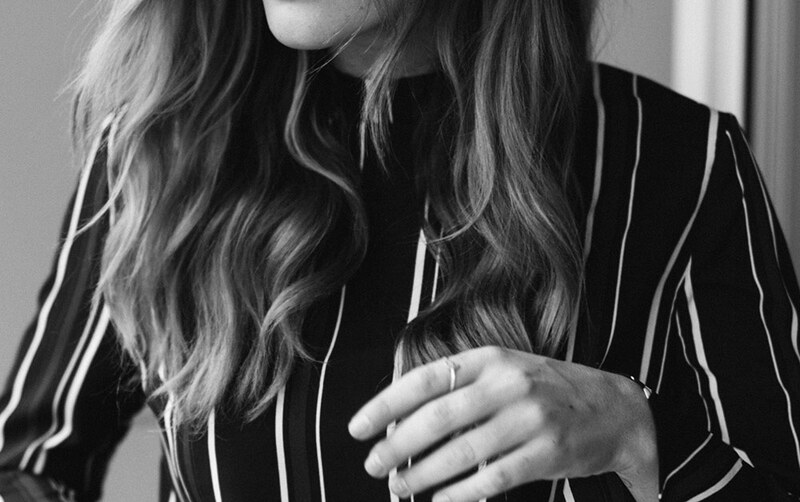 Don’t wash your hair everyday: This is one you need to slowly loosen the reigns on and a cycle that’s hard to beat. I get it, no one likes to have gross hair, but your hair needs the natural oils. This is probably counter productive to my next point, but when you do wash your hair, blow-dry it as hair gets lank faster when it’s permitted to air dry because you aren’t extracting all moisture from it. I literally can never let my hair dry naturally as it always gets super oily! Minimise your heat use: This one is so hard for me because I really need heat to have good hair. I have minimised it to only using heat on the days I wash my hair and then I use products the remainder of the time to prolong the style. Don’t skip products: I have been so guilty of this over the years. I rarely use a heat protectant (cue: hairdressers everywhere gasping) and I have skipped treatments on a lot of occasions. I have been consistently using the new System Professional range over the last 6 weeks and I even got a refill of the treatment mask and conditioner. The way I see it, I wouldn’t skip products when applying makeup or when cleaning my skin, so why should I skip on haircare? Be smart with colouring your hair: When it comes to colouring your hair you have to be really careful with a) how regularly you need your roots done and b) if your hair can withstand the stress and products. Chat to your colourist about what will work best for you and a treatment plan post-colour. There are so many amazing options out there when it comes to colour now that you’re bound to find something that works for you – stay tuned for a blog post on my updated hair colour!! 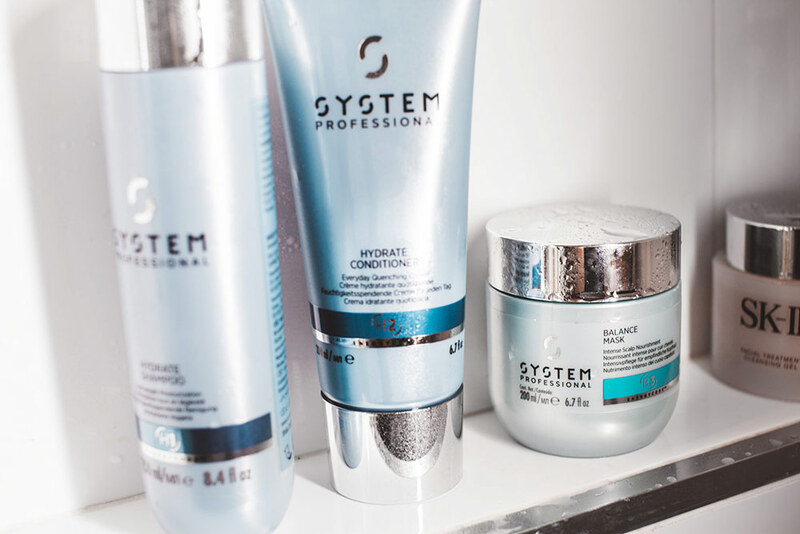 System Professional Hydrate Shampoo – designed to deeply restore the hair’s moisture balance. Gentle cleanser, long lasting moisture. Doesn’t overload hair because it’s lightweight. System Professional Balance Mask – designed to care for and soothe the scalp: intensive scalp nourishment for those who have sensitive or dry scalp. I have an extremely dry scalp (read: I get flakey Mmmm) and it’s actually been helping to control this. It’s something I get quite embarrassed about, so for me, I am super excited to continue to use this. I apply this directly to my scalp. System Professional Liquid Hair – This is a molecular hair refiller and I haven’t ever used something like it before. It’s an extra step, so it’s been one I have been getting used to, but so far I think it has definitely been worth it. It’s super luxe and I use it after shampooing and before styling for stronger hair. 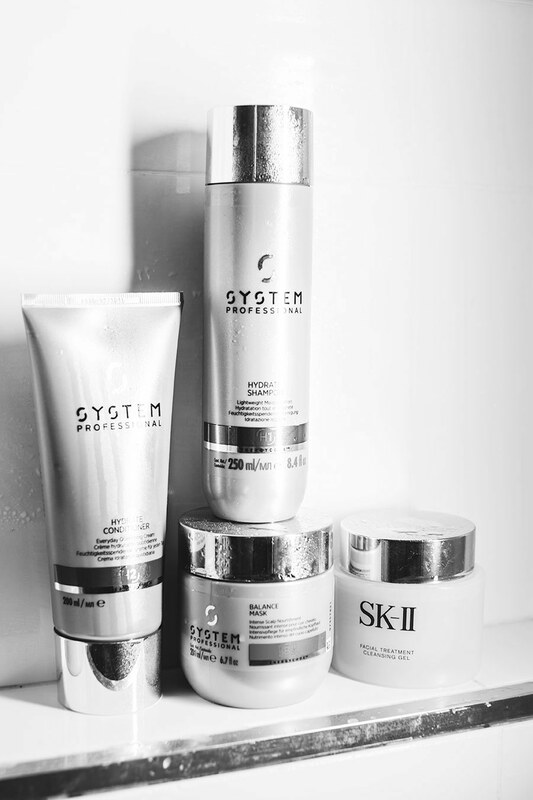 System Professional LuxeOil Reconstructive Elixir – I used the older version of this product for this – I am pretty sure I got it from a goodie bag at an event and I am down to the last pump, so I am super psyched to have a full, new bottle from the new range. You can use on wet or dry hair, but I tend to use it at the end of styling. System Professional Repair Perfect Hair – Structural strengthening foam: stability and strength for weak hair. I use this because my hair is quite porous from being blonde for a year and a half. Even though I am now darker, my hair is still porous and needs some extra lovin’. I use this before I blow-dry. Over the last 6 weeks I feel like the way my hair looks, feels and behaves is so different – in a good way! It feels softer on the ends and because it is a lot more nourished, it sits better when I style it. I love having a set hair care routine to follow and it’s been fun to trial something new. 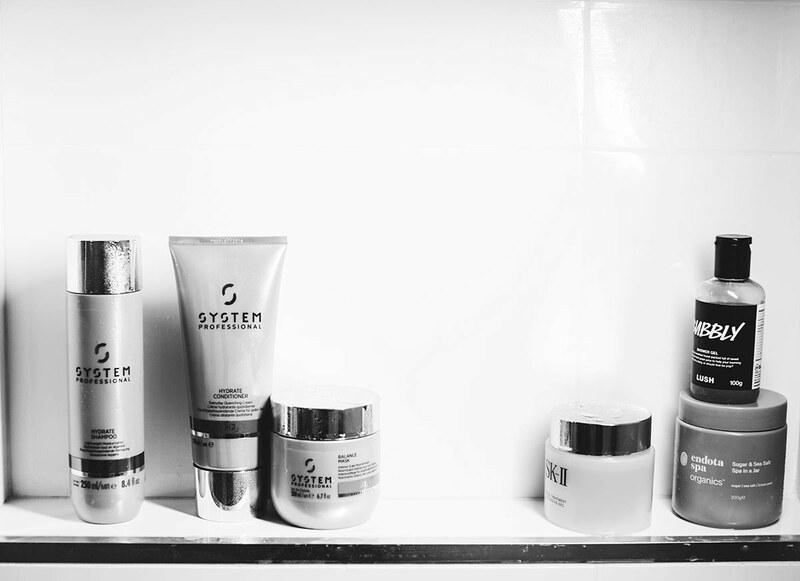 I hope this has been super helpful to you – for more either comment in the section below or head to System Professional online to find your nearest System Professional salon to experience transformative hair care. In collaboration with System Professional. As always, all opinions and creative content are my own. We only work with brands that share the same ethics and values.